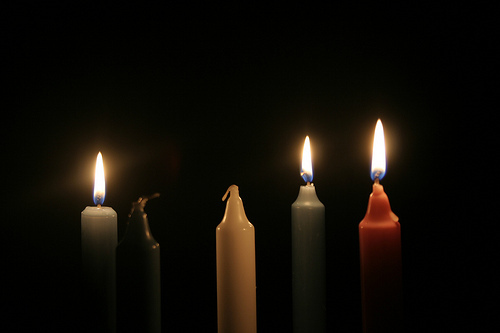 This third week of Advent offers an opportune window to explore some basic elements of the Christian faith. Like the Periodic Table many students memorize in science class, the elements of this liturgical season can be identified and classified. However, just as there are variations on the Periodic Table, so too are there variations in the elements and expressions of faith. The readings this week speak of water, fire, and Spirit (wind), and earth. From these elements one may spark a holy conflagration of hope, joy, peace, and love in a reaction that might even be said to have cosmic consequences. The key is that single spark, an intentional action taken in risk and hope against the darkness of powers and principalities. On Christmas day, we will celebrate once more that single spark of the Divine that God ignited in the world, the light of Christ that the darkness cannot overcome. Today, however, we celebrate sparks of joy, of justice, of thankfulness and praise, and of renewal. 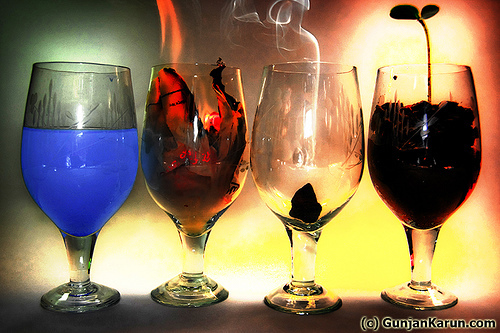 In this sense, the season of Advent is indeed elemental. The reading from Zephaniah reminds us that forgiveness follows confession, and rejoicing, rightly, follows forgiveness. These final verses remind the people of that day (and ours!) that God is present in our midst and that the folks on the margins have cause to hope and rejoice in this promise of being gathered in and brought home. The image in verse 3 is a lovely, of drawing water from the well of salvation in an act of joyful exuberance. In our world of potable water on demand from fountains, faucets, and fridges, the full import of this life-giving and sustaining image may be lost on readers. 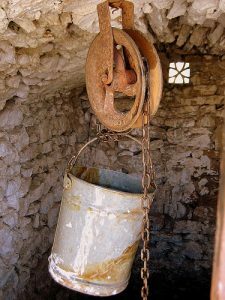 Invite them into images of drawing water, of hand cranking a tin bucket from the cool depths, of women walking miles to a water-life-source and pumping by hand or foot this valuable liquid into containers to be hauled home. Drawing from the well of salvation is not chore but rather joy and delight, worship and praise. Paul’s words from prison can provide relief to those who are imprisoned in the chains of modern life and all of its consumer trappings. Again, the image of God’s nearness is lifted up. Because God is near and active in our lives and in the world, we can live without worry, anxiety, and fear. The key to joyful, abundant life is found in prayer and living in God’s peace. This is good news for communities and individuals who find themselves weighed down with struggles, worries, or dissent. Don’t worry; rejoice! John the Baptist believes in straight-shooting, at least when it comes to matters of eternal significance. He reminds his audience that inheritance and lineage are not enough; righteous living matters. John says his water baptism for repentance is nothing compared with the Spirit wind and fire baptism that the One to come will bring. He outlines in no uncertain terms what the faithful disciple needs to do. Consider using these elements of water, earth, Spirit wind, and fire as a contrast to the commercialized and plasticized holiday pablum our culture offers us. Instead of a MasterCard moment, choose to look for the Messiah on the street corner. Instead of a cluttered calendar, clear a space for worship and wonder. Weave the earthy elements with the deep joy, praise, and peace promised in scripture. Steeped in the waters of salvation, cleansed by the purifying fires of confession, and buoyed by the winds of the Holy Spirit, we are equipped to live as elemental disciples who share our resources and possessions, who take no more than our rightful share of the earth’s good gifts, and who are content with what we have and who we are. The salvation we await is pure gift, just as the Christ Child is divine gift incarnate. Today’s emphasis on joyful response moves us one step closer to the manger and one step closer to ushering in the reign of God. While these elemental concepts may seem elementary, we saint/sinners need to be reminded often about the “why” and “what” of “who” and “whose” we are. Blessings on your preaching and teaching. What can you do today to emphasize joy in worship? How about a remembrance of baptism in lieu of Confession and Forgiveness? Give children small evergreen branches tied at the end with a blue ribbon and a small card with the words “Remember Your Baptism” and Isaiah 12:3. Let them dip their branches into the font or a small bowl of water and gently sprinkle members of the congregation with water during the remembrance. Invite worshipers to write an image or memory of great joy on a piece of card stock with a hole punched in one end. Take all the joy cards and tie them to a large bare branch or small dormant tree placed prominently in the worship space. Remind worshipers that joy clothes even the barest branch with beauty and new life. If you have a youth group meeting today, consider watching The Pursuit of Happyness starring Will Smith and based on the true story of Chris Gardner and his one-year struggle with homelessness. Talk about the contrast between “happiness” and “joy” and why Christians emphasize joy over happiness. The film also provides a good opportunity to talk about homelessness and how Christians can share resources to help alleviate homelessness and hunger. Consider the baptismal remembrance activity posted above under worship ideas. Another possibility is to give each child a kit to make a “Joy door knob ringer.” Include instructions and make one to show the children. Tell them to hang this door knob ringer on a door and every time they hear the bells jingle, they can be reminded that we also have joy in Advent to compliment our anticipation and waiting. You will also need to either write the word JOY on the banner or include puffy letters or felt cut outs for the children to do it themselves. Place all materials in a zip lock baggie. Photos by Gunjan Karun, echiner1, and thedrumthumper. Thanks!